The last session of this class has been rescheduled to Wednesday, February 20; from 10:00 AM to 1:00 PM for the students who couldn't do the make-up on the 11th. This beginning level class is a 3 session class in the month of January for those that have never taken a jewelry class or have been through one or two beginning classes at BARN. We will make a pair of earring by sawing sterling silver with a jeweler's saw or punching out metal with the punches. Many tips and tricks to make these processes easier will be shown. Learn how to master these tools and use them often. Stamping letters and numbers and rolling textures in metals will be covered. This is a 100 level class for beginners and ongoing for those that have taken another beginning class at BARN. There will be a $15 materials fee. 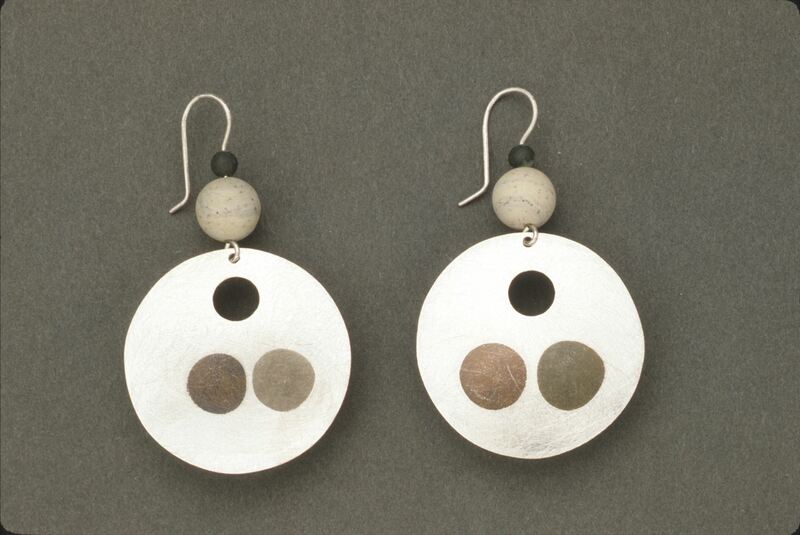 Jane Martin has taught jewelry making at Pratt Fine Arts Center in Seattle, for the Seattle Metals Guild, and the Bainbridge Island park department. Her jewelry is shown at Facere Jewelry Art Gallery in Seattle. She has been making jewelry since she was in high school and has a BFA from University of the Arts, Philadelphia.